The Syrian government has repeatedly denied any accusations of using chemical weapons, insisting that the country "simply" had none in its possession. 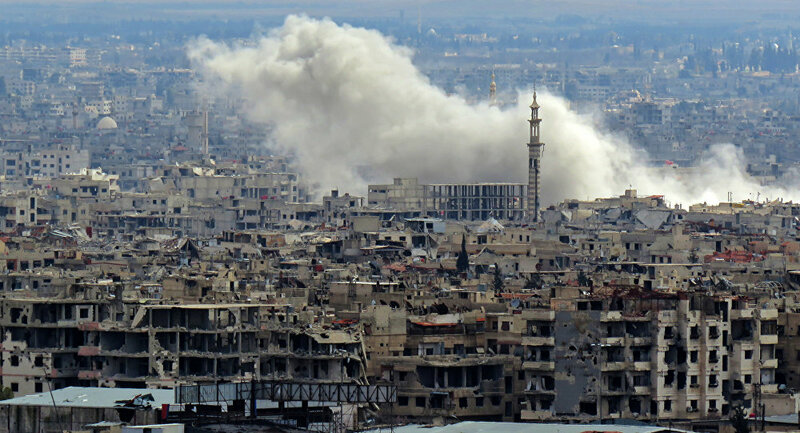 Terrorist groups in Syria’s Eastern Ghouta are preparing to stage an attack with the use of chemical weapons and then blame it on the Syrian Arab Army, SANA reported, citing an unnamed military source. According to the source, speaking on condition of anonymity, the leaders of such groups as Tahrir al-Sham (formerly Nusra Front), Faylaq al-Rahman and Ahrar al-Sham have received instructions from the United States, the United Kingdom and its allies to use chemical agents near the front lines with the Syrian army, as well as to target civilians and accuse Damascus of those actions. On February 26, the Russian Defense Ministry stated that the leaders of the militant groups were preparing provocation with the use of poisonous substances in Eastern Ghouta in order to accuse Damascus of using chemical weapons. Earlier the same day, the infamous White Helmets, which have repeatedly falsified facts and information, claimed that the Syrian Government had deployed chlorine gas against the town of Al-Shifoniya town in Eastern Ghouta, killing one child and causing "widespread suffocation" among the local populace, the Anadolu Agency reported. However, in February US State Department spokeswoman Heather Nauert accused Damascus of using chemical weapons near Idlib's city of Saraqib – an allegation, which was denied by the Syrian Government. "Syria cannot possibly be using chemical weapons because it very simply has none in its possession," the Syrian Envoy to the United Nations said. Almost a week ago, the UN Security Council unanimously adopted Resolution 2401 that urges parties to the conflict to immediately stop all hostilities and adhere to a long-term humanitarian pause across Syria in order to ensure the unhindered delivery of humanitarian aid, as well as medical evacuation of those injured.